There are few places where you’ll find as many cosy and friendly pubs as in the Yorkshire Dales, and on rainy days they can be even better! Here’s a selection of 'locals' recommended by locals! And to find out who's dog-friendly, here's our special dog-friendly page. Convince yourself that you’re not just whiling away time in a lovely pub, but actually doing a good deed and community service while enjoying a hearty meal at the Foresters Arms in Carlton-in-Coverdale – it’s a community-owned pub! The Old Swan Inn in Gargrave is close to the Leeds-Liverpool Canal network, and offers lovely restaurant dining as well as an open plan bar serving local and interesting cask ales, ciders and lagers. Cosy fireside snug, and dog-friendly too! The Green Dragon Inn, Hardraw near Hawes has the added attraction of the walk to its very own Yorkshire Dales waterfall! Admire the view from England's highest pub at the Tan Hill Inn - the pub famous for its snowy 'lock ins' in harsh Dales winters! Number 29, in Frenchgate, Richmond comes highly recommended. Open since Autumn 2018 it's a craft beer and gin bar, serving great tapas and sharing boards. Good wines too. Lovely atmosphere, cosy, and different! The Knights Table at Little Stainforth is excellent for a great feed. Drop in after watching the Salmon leap at Stainforth Foss in Autumn! With Sharon and Ken now at the helm, the refurbished Bruce Arms in Masham offers great food, a cosy setting and banter from very friendly locals. 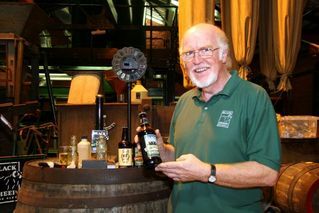 While you're in Masham, why not visit Black Sheep Brewery and Theakstons Brewery and see how beer is made? 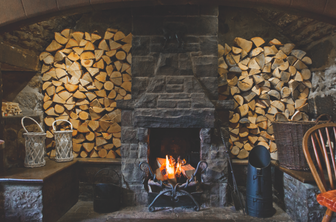 As soon as you walk in to The Sportsman's Arms in Wath, Nidderdale, you feel your shoulders relax and on a winter's day with the log fire, it's very difficult to drag yourself back outside. The beer is great too! The Old Hill Inn, near Ingleton in Chapel le Dale is a proper traditional pub with lots of old character plus really great food. They offer hospitality to walkers, campers, tourists and locals alike. The view of Ingleborough from the garden is amazing! The 16th century Cover Bridge Inn on the River Cover in Wensleydale is in an idyllic location, dog-friendly and famous for its ham and egg! This is an independent site, using recommendations from people who live in the Yorkshire Dales. None of the businesses mentioned on this site have paid to be here, nor is the site funded by any other organisation so you can be sure these are genuine recommendations from people who really love the area. It's a work in progress so forgive the omissions, broken links and inaccuracies... If you'd like a more official and comprehensive guide to this beautiful area, please go to the sites run by the Yorkshire Dales National Park Authority and Nidderdale Area of Outstanding Natural Beauty.